An engineer -turned- banker -turned- wedding photographer -turned- stand up comedian, Nishant clearly knows what he wants to do in life. 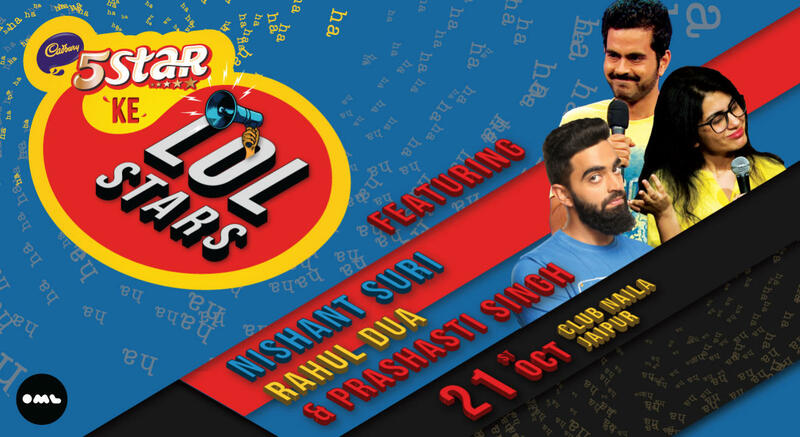 He's been doing stand up for a couple of years now, and in this while has won competitions at IIT Delhi, Vir Das's Pajamafest, Radio One Delhi and Comedy Central's Chuckle Hunt. He's loud, he's almost always angry and is said to have the one of the most weirdly animated hands on the circuit. Talk about an average human being and Rahul fits the bill just right, barring a win at Comedy Central’s Chuckle Hunt, NDTV’s Rising Stars of Comedy 2016, Host at NDTV’s Chuppa Rustam and Actor at Hyundai’s Grandi10 digital campaign. He manages to be insecure, under- confident and loud at the same time. His jokes are as bad as his financial state of affairs and comedy career as unsuccessful as his Engineering and MBA stints. He exploits his life, family and failed relationships for jokes (or lack thereof). He likes Mango Shake and Harlem Shake. Prashasti Singh is a stand-up comic, writer, actor and improviser. Prashasti has been active in the Mumbai comedy circuit since 2015. She has 3 years of experience in improv comedy and 2 years in stand-up, performing across venues like Canvas Laugh Club, NCPA and the Cuckoo Club. Prior to comedy she has dabbled with theater and has performed at venues like Kamani auditorium in Delhi and Rangamandira in Bangalore. Prashasti has a degree in engineering from Delhi university and MBA from IIM Lucknow. She has worked with a Television Broadcast company for 4 years understanding and creating content for the heartland consumer. Modesty is clearly not her forte.